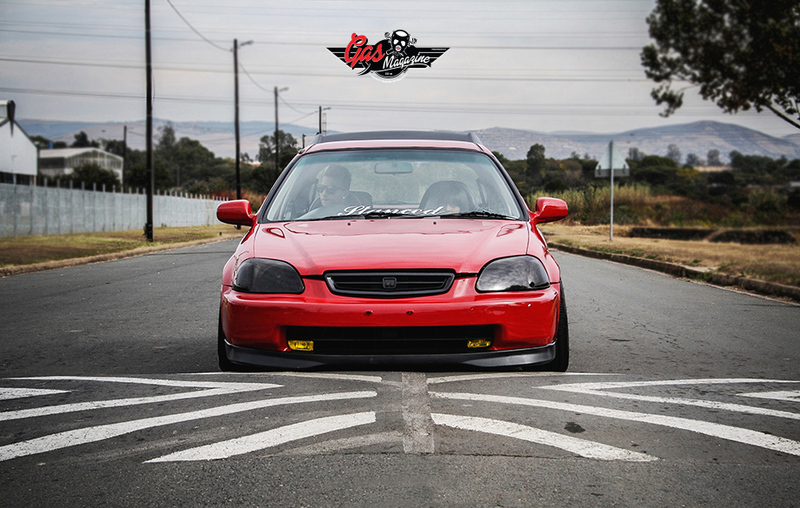 2014 has seen the stance scene being obliterated by some insanely stanced out Civic’s, not to say Civic’s haven’t been on the scene previously, but they have definitely made more of an impact in 2014 and now they’re kickin’ off 2015 with a bang. 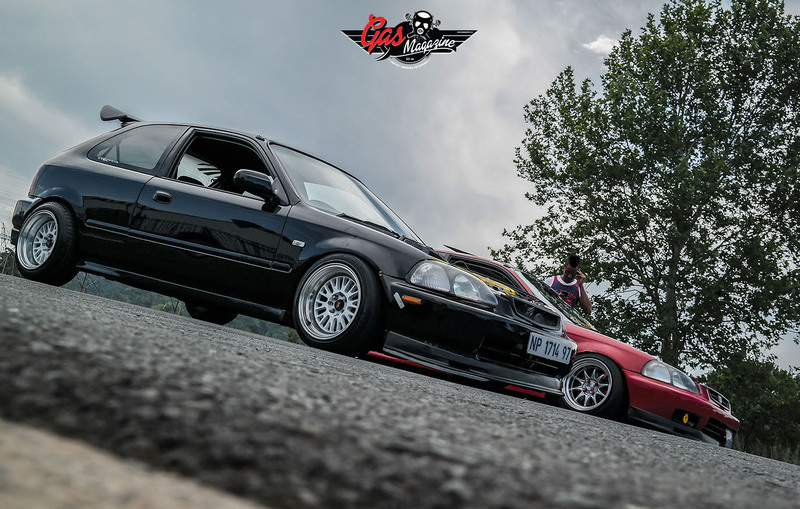 The way the recent car scene in SA has been going it’s no wonder that Pietermaritzburg’s Kameer Sign and Thashen Naidoo chose to hunt down mostly stock Civics and put their plans of turning it into a “JDM” Civic in motion. The acronym JDM stands for Japanese Domestic Market, which in essence means goods sold to the residents of Japan, but over the past 10 years JDM has become synonymous with aftermarket performance and auto styling parts for Japanese manufactured vehicles, in this case these two Civics… History lesson over, Kameer’s 1998 Honda Civic bring some serious performance and style with Thashen’s 97 civic being right up there with some of the most unique, the sleek black paint job is a welcomed change. Note: stance does not mean grounded/slammed/lowered alone although it is huge contributing factor, it is the overall presence of the car, for example when a beautiful women walks into a room and steals all the attention, that’s the effect of a car should have in MY opinion. Having driven many Honda’s in the past I can attest to the “bullet proof” nature they possess. Thashen is running a mostly stock engine bay with a few with trendy inserts and an induction kit and an extremely well done wire tuck and battery move to open up some space in the bay. Kameer’s Import Vtec motor offers some serious bite to back up its bark, with his only modifications being a 50mm free flow exhaust, a Diktator Management (Tuned by Fast Car Performance) and an induction kit. The Interiors of both cars have been left mostly standard with the only additions being 2 Ricardo Racing Seats fitted snugly in the front for those times when Vtec Kicks In. Ice features in both cars purely for the love of sound. Kameer has a clean set up with 2 boxed Pioneer 12” Subwoofers covered in red vinyl, Targa tweeters, 7000 watt XTC Monoblock amp and an in-dash JVC DVD player which he personally installed. Thashen Burberry inspired boot set up starts with the 10” Targa D2 with and Sony 6×9’s for the backup and a XL Audio Monoblock. The Honda’s are kitted with amazing Type R front lips, rear fin and side skirts. The definite stand out feature has to be the Type R fin which gives the cars a great over all finished look. Both Civics change rims more times than I can remember but this always brings a fresh new look for the cars.